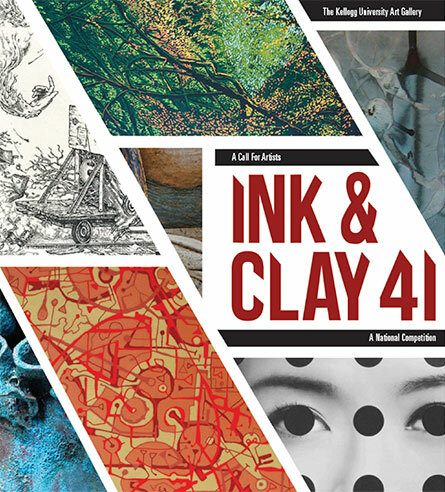 Established in 1971, Ink & Clay is an annual competition of printmaking, drawing, ceramic ware, clay sculpture, installation and mixed media utilizing any variety of “ink” or “clay” media. The competition is open to all 50 states, including Alaska and Hawaii. This site displays the individual works and statements of the artists, as well as photos of the gallery installations. You will also find information about the jurors. Artworks chosen for special awards will be added to the site by the end of September, as well as an online brochure. As you go through the artists' works, you can hover over many of the images to zoom into them and see more detail. See how it works on the image below.